Offering encouragement and faith to succeed. Challenging your self-limiting thoughts, your decisions and assumptions. Helping you to find the solutions yourself so that you are committed, responsible and clear about what you need to do, when you need to act and how you will achieve results. A Vincere Coaching Relationship is Focused on you! Coaching is not counseling or therapy. It does not treat past traumas or emotional problems. It is forward thinking and moving and focused on achieving well defined goals. Coaching is a process that provides structure and insight towards achieving goals by way of unleashing ideas, seeing other perspectives, making sense of them, putting these ideas into plans and then executing or taking actions. The client is at all times responsible for the plans and actions but also accountable to his/her coach. Leaders typically go through different periods of growth in their roles and as individuals. During these times they usually look for things to change about their style or behavior in order to become more effective in their jobs. Traditional change occurs when you identify an area and work towards it to make incremental adjustments in behavior. Vincere coaches are trained to look for real breakthroughs which will enable the client to completely shift their perspective and therefore see their world in a different way. This allows the change to be immediate and sustainable. 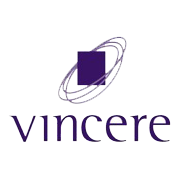 Vincere Coaching is about transforming leadership and interpersonal relationships within organizations and improving specific personal projects, business successes, or general conditions in a client’s life or profession. For growth and breakthroughs to happen, the client is committed to the realization of his/her goals and takes action towards these goals. The job of the coach is also to challenge you and help you to stretch your goals and actions. It is often human nature to do what you believe you can do. A coach will try to push you past that comfort zone and help you achieve what you only imagined you could do. Imagine a relationship where the focus is totally on you and the other person is only concerned about your success. It is a relationship with someone who will be totally honest with you and give you feedback about your strengths and also where you sell yourself short. Inherent in a coaching relationship is trust, commitment, mutual learning, risk and belief. There must be belief from the coach that the client has the potential to achieve and succeed.